South Australians go to the polls this Saturday and the Liberal and Labor parties may struggle to collectively win 60% of the primary vote. If so, the election will continue a downward trend in the two major parties’ primary vote throughout Australia. The latest Newspoll, conducted from February 27 to March 1, puts the Liberal Party’s primary vote at 32% and Labor’s at just 30%. Nick Xenophon’s new SA-BEST party is fielding candidates in 36 of 47 seats in the House of Assembly and its primary vote in that same Newspoll sits at 21%. The Greens are at 7% and Cory Bernardi’s new Australian Conservatives sit at 6%. In the seats SA-BEST are contesting, their primary vote averaged a more competitive 27%. The 21% state-wide support is a result of Newspoll not including SA-BEST in the 11 seats they are not contesting. The numbers for preferred Premier show a nearly evenly-divided electorate with 29% supporting Xenophon (down 17 pts since the last Newspoll), 28% for the incumbent Labor leader Jay Weatherill (up 6 pts) and Liberal leader Steven Marshall on 24% (up 5 pts). Perhaps even more remarkable than the low primary vote numbers of the two major parties are the low net approval ratings of the party leaders. 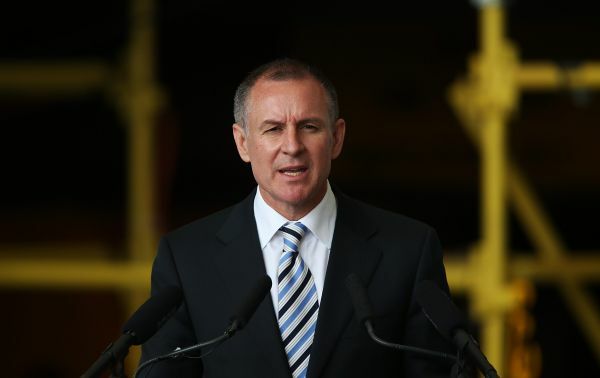 Weatherill’s net approval rating is -21 while Marshall’s is even lower at -26. When preferential voting was implemented at the federal level in 1949, the two major parties regularly won nearly or over 90% of the primary vote until the late 1980s. Since then, their primary vote share has steadily declined, with minor parties winning nearly one-quarter of the vote at the federal level in 2016. In South Australia from the 1950s to the early 1990s, the two major parties’ combined primary vote did not dip below 83%, and often exceeded 90%, but it has been eroding consistently since then. Xenophon first won a seat in the South Australian upper house in 1997 by running on the independent ‘No Pokies’ ticket. With the help of preference flows from numerous micro-parties, he was the first independent elected to the Legislative Council in nearly 60 years. In 2007, Xenophon won a seat in the Australian Senate, again as an independent. He resigned from the Senate last year to run for the South Australian lower house seat of Hartley and to build SA-BEST into a state-wide force. On Saturday, SA-BEST are fielding candidates in 36 of the 47 Lower house districts. While no one expects them to win the 24 seats required to form a government, they could hold the balance of power if neither the Liberals nor Labor win outright. Who is likely to form a government? Even at this late stage, it’s anybody’s guess. Labor has been in power for just over 16 years. Long-serving Labor governments in Queensland, NSW and Tasmania were all soundly defeated between 2011 and 2014. The current Labor government lost the two-party preferred vote by a 53.0-47.0 margin in 2014 but was able to hang on to power with the help of an independent. The preferential-voting system of the lower house makes the three-way races with SA-BEST very difficult to predict. If SA-BEST can out-perform just one of the major parties in a seat, it will open up a myriad of possibilities. Preference flows from the Greens are expected to largely go to Labor while those of the Australian Conservatives will mostly flow to the Liberals. As a new centrist party, preference flows from SA-BEST are the most difficult to predict. Based on its polling, Essential Media has estimated that 60% of their preferences will go to the Liberal Party while the remaining 40% will likely go to Labor. Further complicating matters for Labor, the ABC’s Antony Green has estimated that the re-drawing of electoral districts after the 2014 election will be more favourable to the Liberals. Labor will require about a 3 point swing in its favour to retain power. However, Labor still remains competitive in this election. Their stance in favour of renewable energy and being able to position themselves against an unpopular Coalition government in Canberra have kept them in with a chance. The likelihood of a hung Parliament remains high and there could be some very interesting post-election negotiations between the three leading parties.